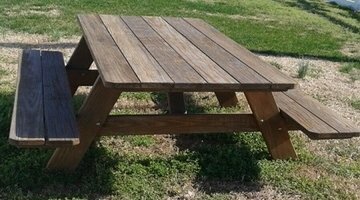 Bill’s Picnic Tables builds and delivers outdoor furniture to the washington dc area. We build quality tables, with a lifetime guarantee, using only hardwood, locally sourced lumber. We stain all of our tables with 6 year stain, one of the best products on the market, so you won’t have any table maintenance for a long time to come. Even unstained, treated lumber will last for decades, so you have no maintenance needs for your purchase. We build the quality from the start, and stand behind it for life.